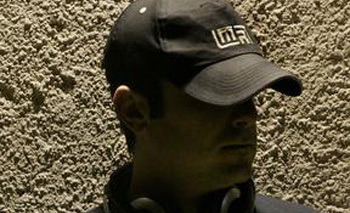 He began making sounds in 1995 within the radio show Hard Raptus Project through the FM radio Ondarossa and started producing music in the second part of the decade, taking part in several soundtracks and underground techno/electro compilations (Audio Resistance, AutoCD, SpaceLab 01 mode: electro). In 2004 he founded the MinimalRome collective/label and from 2006 he started a collaboration with the dutch label Bunker Records followed with the releases on Crème Organization, Stilleben, DataDisk and so on. With his side project “Heinrich Dressel” he released his first album on Legowelt’s Strange Life Records in 2007: Mons Testaceum. This was the first part of a trilogy called Studium Amphora. The second part is Escape from the Hill, released on his own label MinimalRome in 2008 followed by the 3rd and final part of the trilogy: Completion of the amphoras table, again released on Legowelt’s Strange Life Records in Nov. 2009.